Indian companies are upbeat about prospects for economic activity in the new fiscal, industry lobby CII said on Sunday on the basis of its survey, although majority of the firms surveyed cited low domestic demand, fragile global economic recovery and rise in commodity prices as key concerns. 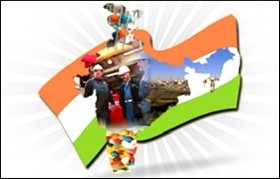 "The CII Business Confidence (BCI) which has gone up to an all-time high of 64.1 during the fourth quarter of 2016-17, as against 56.5 recorded in the previous quarter," the Confederation of Indian Industry said in a statement in New Delhi. "There has been a sharp rise in the CII-BCI after it remained subdued in the last few quarters," it said. "A sharp uptick in business outlook, at the onset of 2017, underpins the hope that the reform initiatives of the government would unravel a host of investment opportunities for firms, going forward," it added. The CII's quarterly Business Outlook Survey is based on around 200 responses from large, medium, small and micro firms, covering all regions of the country. "Business conditions are expected to improve as over 63 per cent of the firms expect an increase in sales during January-March 2017, as compared to only 39 per cent who experienced the same in October-December 2016," CII said. "Moreover, 60 per cent of the respondents expect an increase in new orders during January- March 2017, as compared to 41 per cent who witnessed the same in the preceding quarter," it added. "Firms are keeping investment plans on hold despite the expectation of an improvement in sales and new orders in the January-March quarter owing to the existing excess capacity in the economy," the statement said. Meanwhile, a key macro-economic data released earlier this week showed India's manufacturing sector expanded last month due to healthy demand conditions and softer inflationary pressure. The Nikkei India Manufacturing Purchasing Managers' Index (PMI) which is a composite indicator of manufacturing performance rose to a five-month high of 52.5 in March, from 50.7 reported for February.